Being born and raised in Wadi Rum desert where artificial light is rare we are used to dark nights. Due to our arid desert climate, we have clear skies most of the year. As night falls the sky turn black. A vast, dark canopy with thousands of stars shining their light on us. Especially in the days before and after new moon, the starry night sky is absolutely stunning. To us, this is an ‘ordinary’ but beautiful sight. 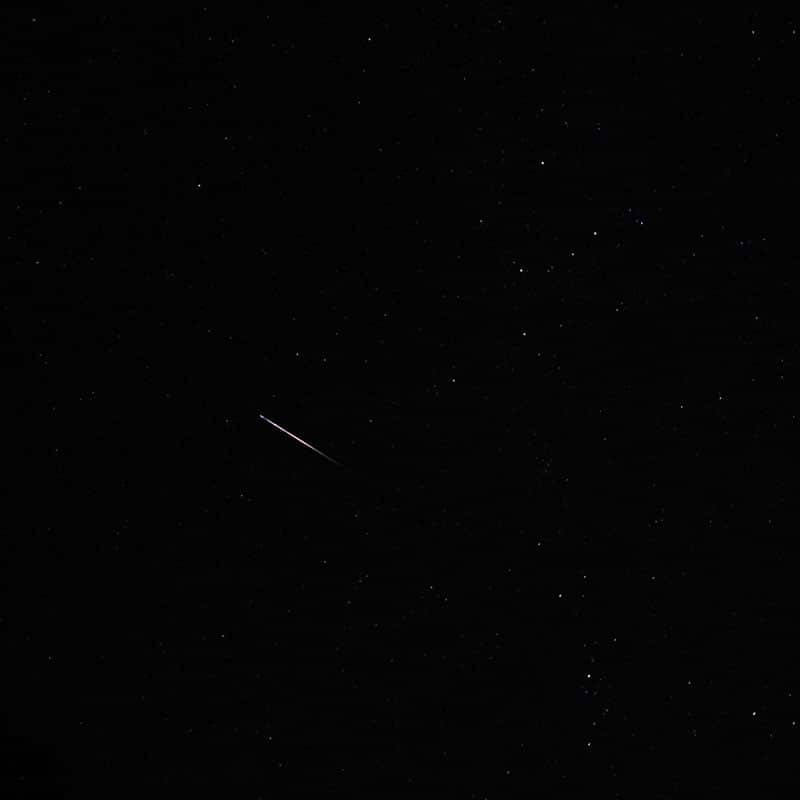 Every now and then when we watch the stars we see a shooting star. In August, November and December during the meteor showers of Perseid, Leonid and Geminid we can see up to tens of shooting star per hour. A spectacular phenomenon of nature. In this blog, we tell you about shooting stars and why you should watch shooting stars in Wadi Rum desert. The most common misconception about shooting stars is that they are related to stars. Besides sharing the name there is no connection at all. Stars are quite far away from earth. It is not likely to one will ever reach our planet at all. Shooting stars are in fact meteors. Space dust and rocks that originating from asteroids and comets. The dust or rock enters our atmosphere at a very high speed. The resistance of our atmosphere heats the rock rapidly. The bright streak is actually not the rock burning. But the glowing hot air as the hot rock passed through the atmosphere. Comets and asteroids orbit the sun. Just like our planet does. Planets have a nearly circular orbit. Comets and asteroids have a more lop-sided orbit. As they get closer to the sun some of its surface boils off. The released dust and rock strews along with the comet or asteroid. When our planet passes through these orbits dust and rocks enter our atmosphere causing meteor showers. Every culture and religion around the world has its own legends or beliefs about shooting stars. To some, they are gods, in others angels, fairies or ancestors. Some believe shooting stars represent an omen. Others believe shooting stars are the gods contacting us. Astrologers think that the stars govern our lives. We Bedouins are Muslims. We believe shooting stars protect from ear dropping jinns. Most legends and beliefs assume that shooting stars have to do with some kind of supernatural power. When people wish upon a star they hope that the supernatural power hears their wish and makes it come true. Each year in August we can see the shooting stars from Perseid. Most of the time the first shooting stars from Perseid are seen as early as mid-July. And the last around the mid-August. The peak is between the 9th and 13th of August. How much we can see from this extraordinary phenomenon largely depends on the moon. Full moon is on the 7th of August which makes it harder to see the shooting stars. Luckily the moon sets between 10 and 11 PM which gives you the option to see them later at night. The best time for watching is just before dawn on the 13th of August. 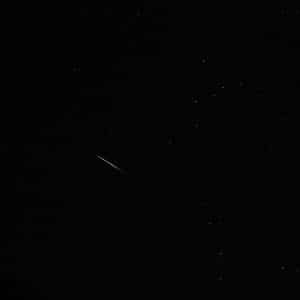 The website timeanddate.com offers great information on the Perseid and other meteor showers. Why should you watch August’s shooting stars in Wadi Rum desert? Our night sky is very dark as Wad Rum desert is far away from any urban places. Our desert is one of those really dark places on our planet. Use of artificial light in Wadi Rum desert is very limited. We limit the use as much as possible. In the desert, we only use flashlights, candles and fire. Good weather conditions are very important as clouds prevent us from seeing the shooting stars. In summer almost all of the days and night we have clear skies. Our night temperatures are around 25 degrees Celsius. The ideal temperature to lay on a mattress and watch the stars. In the daytime, you can enjoy our unearthly desert and during the night you watch the starry night sky and see the shooting stars. Sounds perfect, doesn’t it? Why should you join on one of our tours? We offer bivouac tours. We sleep in a ‘cave’ (more an overhanging rock) somewhere in the protected area. From our spot, we have amazing sky views. Like being front row in a theatre. Once we go sleep it is to you if you want to use a tent or sleep under the starry night sky. To watch the shooting stars it is best to just lay down, relax and watch the beautiful starry night sky. We put your mattress in the perfect place to watch the shooting stars. We wake you up a few hours before the sun rises. This time is best for watching the shooting stars. If you prefer only to watch late at night this is fine with us too. Watching shooting stars can be done on all tours except the 1-day jeep tour and 1-day camel ride. Booking your tour is easy, just use our online booking form.